The film, the 18th written and directed by Schrader, quickly gets us acquainted with the noble Reverend Toller (Ethan Hawke), a man of the cloth beset by a despair he considers to be of Biblical proportions. And it may indeed be; when the environmentalist husband (Philip Ettinger) of a parishioner (Amanda Seyfried) commits suicide over the prospect of bringing a child onto an irreparably damaged planet, he leaves behind a pack of plastic explosives and a suicide vest. Is it a sign from on high? As we dive headlong into Toller’s abyss, the question lingers on long after the film’s rapturous final act. For a decision he made “not with an emotional commitment, with an intellectual one,” he set himself to work in the most intellectual way possible: “It was just a matter of saying [to myself] Okay, I’m gonna do it now: What are all the films that I respect of this ilk? Watch them all again, and figure out where you fit into this scheme.” A veteran storyteller, Schrader made no bones about revealing the films he, at times, took more than inspiration from. Elements of Bresson’s The Diary of a Country Priest, Bergman’s Winter Light, Dreyer’s Ordet, Tarkovsky’s The Mirror, and even Pawilkowski’s Ida fit curiously into Reverend Toller’s ever-Schraderian moral crisis. 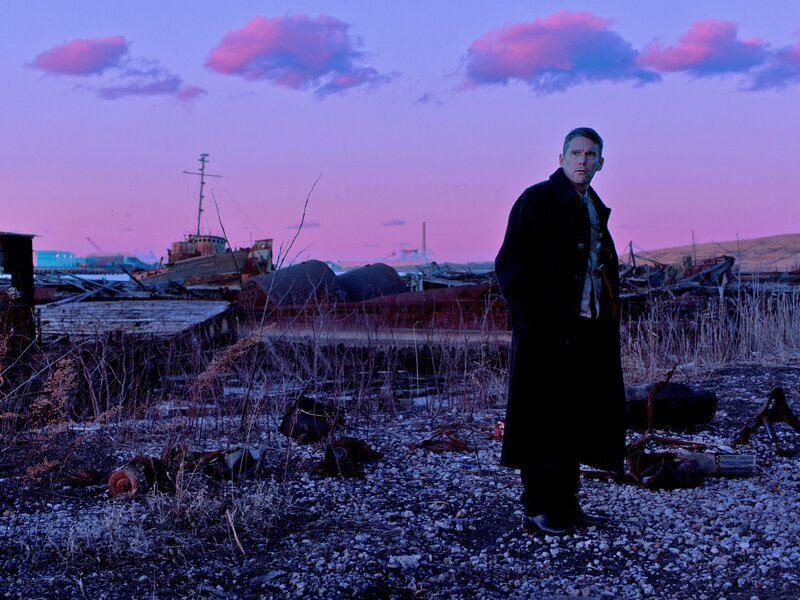 One filmgoer I spoke to felt like, at times, First Reformed “bordered on plagiarism.” But to this reviewer, it felt like Schrader was explaining the way a mathematician reaches a new conclusion based on his forbearers’ proofs, in filmic terms: “I knew at the end of this film I had to jump into the non-material world, into the magical world, into that world that is so close to us that we can almost touch it, but never can,” he said, reducing that absolute hardest-to-describe phenomenon into plain English. “How can I foreshadow that? How can I tell [the audience] that there is a non-material world coexisting with this one? And that’s when I literally said to myself, What would Tarkovsky do? And I said, Well, Tarkovsky would have them levitate.” Without diluting what is one of the film’s most transcendent moments with my own hideously insufficient language, what I will say is: they levitate. Boy, do they levitate. The discussion that followed transformed into something of a masterclass for an audience eager to learn. Schrader covered everything from how and why he got “ur-hippie jokester” Ethan Hawke to give a recessive performance—“the opposite of what an actor is normally trained to do, which is to embrace the audience’s love of his entertaining abilities”—to manipulating an audience—“the more the audience is uneasy, the more they are discomforted but mesmerized, the more willing they are to take a leap forward into a place they haven’t been to”—to how his choice of using the 4:3 aspect ratio in First Reformed changed in the formal structure of the film. As to whether or not Toller makes that choice for himself… Let’s just say, at the very least, First Reformed requires a second viewing.